Following on from the Electoral Boundary Review, Cornwall Council (CC) will now start the CGR. The CGR is a review of the governance arrangements of all of the parishes in the CC area. The CGR will consider whether it is appropriate to make changes to parish areas and parish electoral arrangements; and potentially the alteration, merging, creation and abolition of parishes, the naming of parishes and the adoption of alternative styles for new parishes. It might also involve changes to the electoral arrangements for parishes (the ordinary year of election; the council size; the number of councillors to be elected to the council, and whether to divide the parishes into wards for the purposes of elections). In some cases it might be appropriate to group parishes under a common parish council. 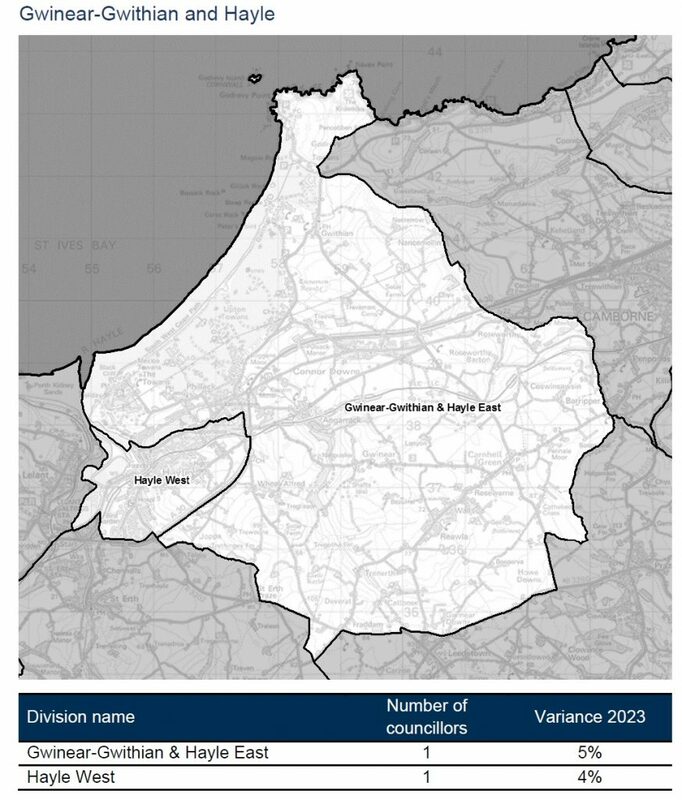 Whilst the primary focus of the Review will be city, town and parish council matters, the outcome will be presented to the Local Government Boundary Commission for England, which has responsibility for Cornwall Council ward matters. In a limited number of instances, the Council may wish to request the Commission to alter a unitary Council division boundary so that it is coterminous with a parish boundary. There may also be a need to make changes that arise in consequence of the Review (termed “consequential matters”), and these might include provisions for the transfer of parish council staff, property and assets, or the setting of precepts for any new parish councils that may be formed. provision for the transfer of staff, compensation for loss of office (council staff redundancy), pensions and other staffing matters. Cornwall Council will embark on the first round of consultation regarding the CGR in March 2019 with final recommendations being presented in mid 2020. The next stage will be for Cornwall Council to undertake a Governance review of all Parish and Town Council’s. We anticipate this will take place in 2019/2020 ready for the 2021 Council elections. Further information will be posted on this page as details emerge. 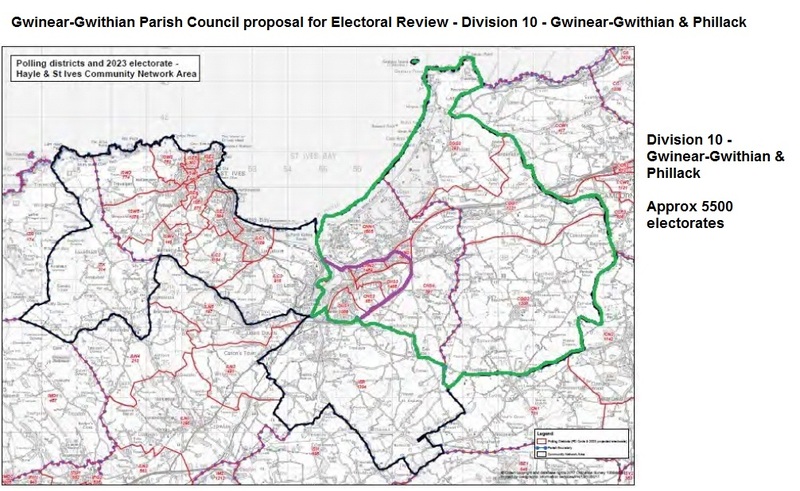 The Boundary Commission recommendations for your Parish are in line with those put forward by Gwinear-Gwithian Parish Council. If you agree with the recommendations we still urge you to comment and give your support to them. 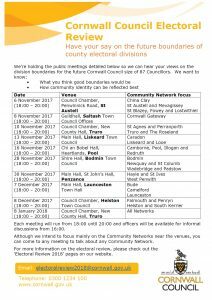 The closing date for comments to the Boundary Commission is Monday the 17th September 2018. Publication of our draft recommendations for Cornwall Council, which were due to be published on 8 May 2018, has been postponed. Our draft recommendations will now be published on 5 June 2018. Due to the significance of our work with Cornwall Council, the Commission is taking more time to refine our recommendations before we put them before the public for consultation. The 5 June 2018 will be the start of a 15-week public consultation that will close on 17 September 2018. Following this, the Commission intends to publish final recommendations for Cornwall Council in December 2018. 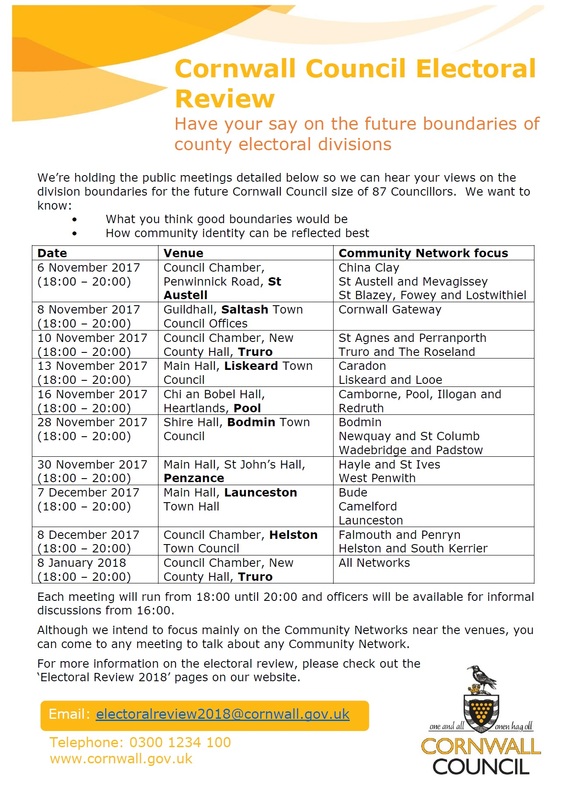 The Boundary Commission asked local people and organisations for their help to draw up new division boundaries across Cornwall during a consultation between Sept 2017 and Feb 2018. The Commission announced that it is minded to recommend that Cornwall Council should have 87 councillors in the future. They are now drawing up a new pattern of divisions to accommodate 87 councillors based on the public’s submissions to the consultation. The map above is similar to the submission made by Cornwall Council to the Boundary Commission. The Parish Council also supported the proposed ward name of Gwinear-Gwithian & Phillack.